Start your weekend off the best way known to breakfast lovers- with waffles. 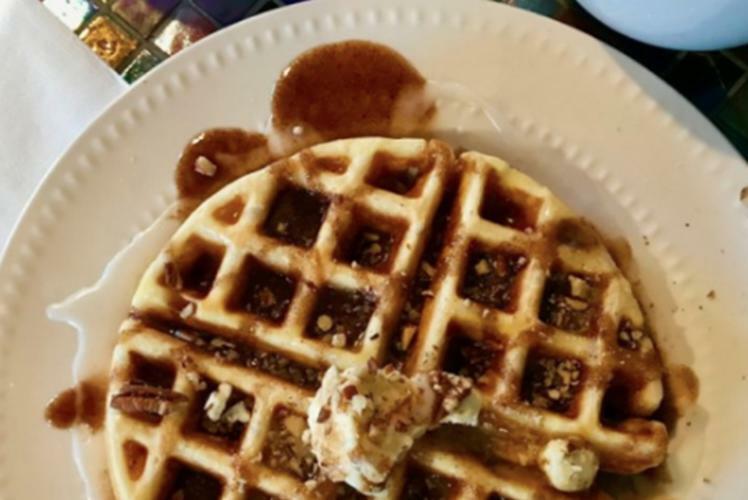 Head to The Living Room Coffee House & Drive-Thru every Saturday for hot, crispy, enormous, golden Belgian waffles. This includes a regular waffle and a daily specialty option. Apple pie, s'mores, chocolate chai, chocolate covered strawberry, peanut butter overload, caramel maple pecan, the Elvis, are just of the few past daily flavors. Waffles have been a huge hit, so make sure to come early and bring a friend.